The Feast of the Presentation of the Lord is one of the ancient Feasts of the early Christian church. 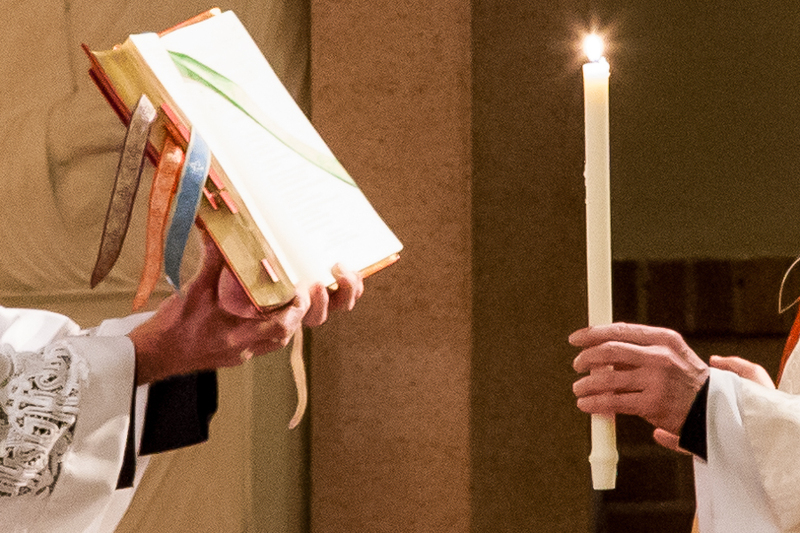 The candlelight procession at the beginning of the liturgy reminds us that we are called to bear the light of the truth of the Gospel to all whom we encounter in our daily life. Sacred Heart Catholic Church in Norfolk, Virginia will celebrate Mass Tuesday, February 2 at 5:30 pm for the Presentation. All are welcome. in accordance with your word. Which your prepared in the sight of all peoples. This entry was posted in Feasts and tagged Candlemas, Presentation on February 1, 2016 by frjfkauffmann. 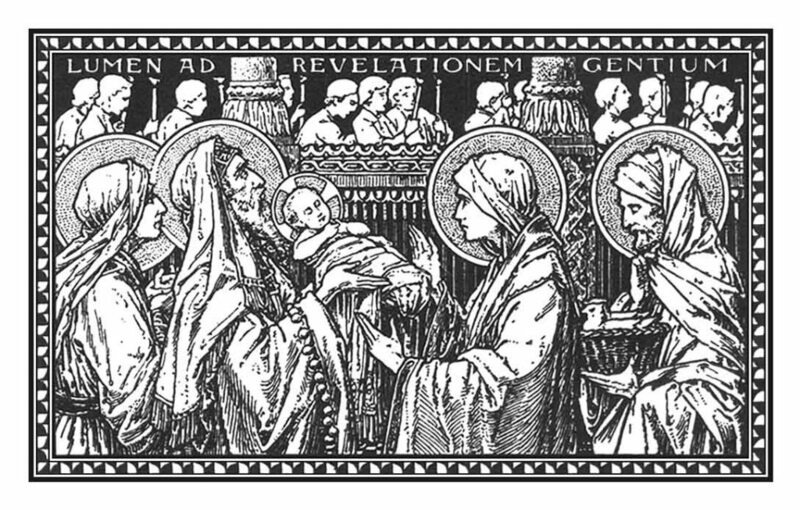 The Feast of the Presentation of the Lord, sometimes called Candlemas, the day on which the church blesses candles, concludes our Christmas Feast. In the diary of Egeria, a fourth century Spanish pilgrim, we see what she saw, the Feast “observed with special magnificence”. In Jerusalem. they gathered at the place of the Resurrection and celebrated the Feast of the Presentation with the same solemnity of Easter. Their vigil keep throughout the night. Though to the law He nothing owes. Please read the rest, as it is delightul and our congregation sang it to the tune of Jesu, Dulcis Memoria. Monsignor Mark Lane has a beautiful post on his blog on the Presentation of the Lord in art. As you look at the blog post, be sure to click the artworks he is showing. They will then be enlarged and you can examine them in detail. What does this Feast mean for us, besides a particularly beautiful liturgy? Guerric of Igny (die 1157) ranks with Bernard of Clairvaux, Aelred of Rievaulx and William of Saint Thierry as one of the “four evangelists of Citeaux.” “Guerric of Igny, Liturgical Sermons, Book I,” Cistercian Publications, . Inspired by this Medieval sermon, may we like Simeon embrace God’s Wisdom incarnate in Jesus to be a lamp in the heart through living faith; to be a lamp in the hand through works of charity; to be a lamp of the lips through edifying speech, and thus shine not only before men but before God himself through pure intention of heart. This entry was posted in Feasts and tagged Candlemas, Feasts on February 1, 2014 by frjfkauffmann.